NICK CLARK, OF FLOUNDER CREEK OUTFITTERS, WINS THE 2016 IFTD IRON FLY. 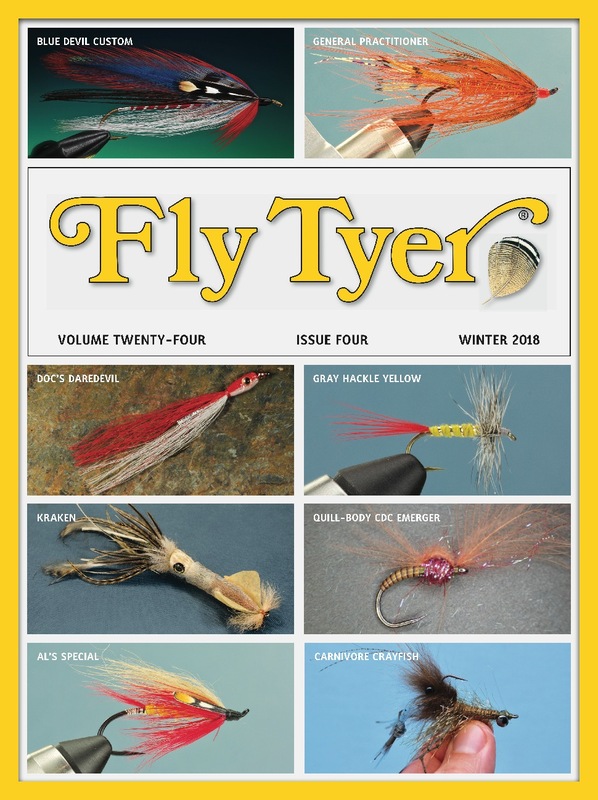 Last month, the fly tackle industry gathered in Orlando, Florida, for the annual trade fair called International Fly Tackle Dealer. One of the featured events at the show is called the Iron Fly Competition. About 15 intrepid tiers entered this years event. First, they tied one fly using materials provided at the competition. The top tiers were selected, and that group tied a second fly incorporating a secret ingredient. This year, the mystery material was a foam beer cozy! Nick Clark (in the middle) won the Iron Fly. Here we see Nick (in the middle) with judges (from right to left) Lefty Kreh, Jon Cave, and Fly Tyer editor David Klausmeyer. Andy Renzetti, of Renzetti Vises, is on the far left. Renzetti sponsored the IFTD Iron Fly.